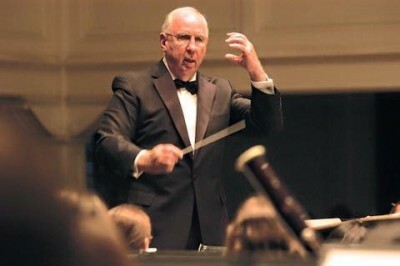 Dr. Bobby Adams, retired professor of Music Education, and former coordinator of Instrumental Music and director of Bands at Stetson University, passed away on Thursday, May 28, at the age of 75. Since he began at Stetson in 1987, Dr. Adams helped build Stetson’s instrumental program and grow the School of Music. With his help, it grew from 130 music majors to 200, and from 25 students who majored in a band instrument to 100, representing nearly 50 percent of the total music-student population, as reported in the Spring/Summer 2012 issue of Stetson Magazine. Dr. Adams is survived by his wife Ann Adams, former oboe professor at Stetson, and three children. The celebration of Bobby Adams’ life will be held Saturday, June 6, at 10 a.m., at First Presbyterian Church in DeLand, located at 724 N. Woodland Blvd. The Bobby L. Adams Scholarship, established in 2012, is designed to support Stetson students studying music education in instrumental music intending to become band directors. To help honor Bobby Adams’ legacy, please contact Stetson’s Office of Development at (386) 822-7455, or visit www.stetson.edu/give.